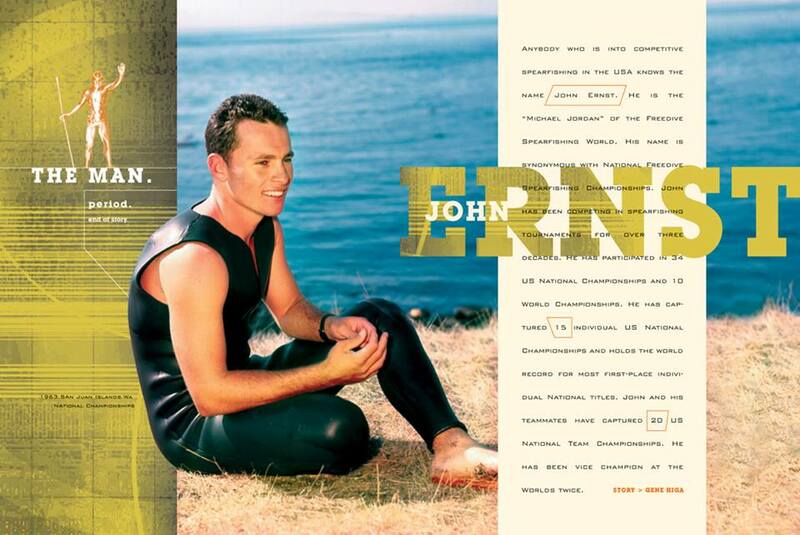 As the spearfishing world gears up for the 2014 US Nationals in Kona and the World Championships in Lima, Peru— we look back at: THE MAN. Period. End of Story. John Ernst. This article was one of the last written by Gene Higa who was considered by many to be Hawaii’s top competition diver before his passing while competing in the 2004 Nationals in Haleiwa, Hawaii. Visit: usworldspearfishingteam.com to support the US team in Lima, Peru later this year!